UAF Adventure campers rafting on Smith Lake. Photo courtesy Jamie Shorey, DRAW. Summer camp is a place where kids can learn new skills, find new interests and make new friends. But with so many programs to choose from, you may be feeling a little lost in the woods. 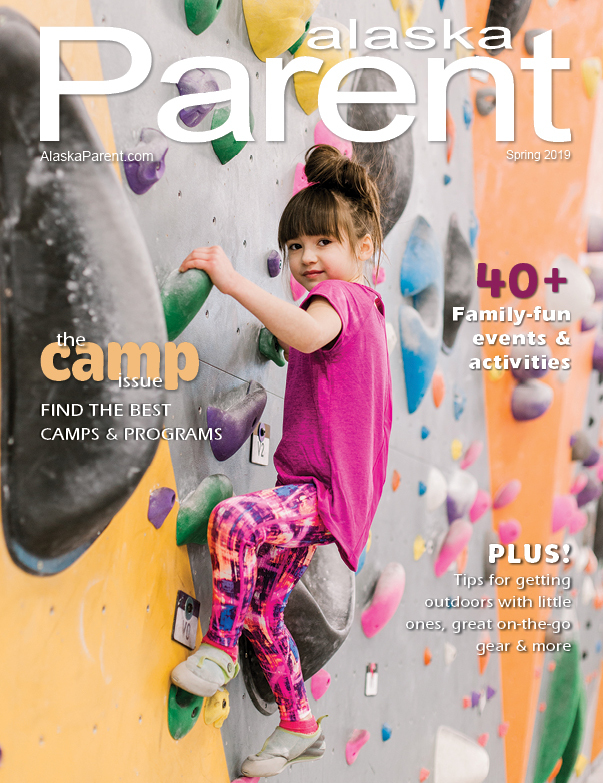 To help you narrow the choices and find the right fit for your child, read on for Alaska Parent’s summer camp primer. Let your kid’s interests lead you; check with organizations your child is already involved in, like Girls Scouts, the YMCA or church groups, to see if they offer summer options. Or for children who already participate in music, sports or theater, for example, there are a number of day and overnight camps that cater to those interests. Camp is a great way to explore a new interest, says Anchorage YMCA Childcare Director Dave Koch. 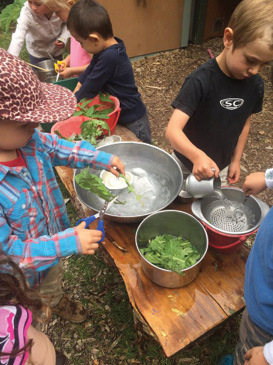 “We like to offer a bunch of activities in a variety of areas for the kids so they can develop interests in new things,” he says. If you’ve got a budding chef or musician who wants to attend a special-interest camp, like the University of Alaska-Anchorage’s Culinary and Bakery Boot Camps or the University of Alaska–Fairbanks’ Summer Music Academy, remember that these options may have specific requirements. While focusing on a single interest for one or more weeks over the summer is a great way to get better at something, help your camper set realistic expectations for what he can achieve. Half a summer at ALCAN Sports Development Program won’t turn your Little Leaguer into a champion batter – but it will give him more practice, and help hone his skills. 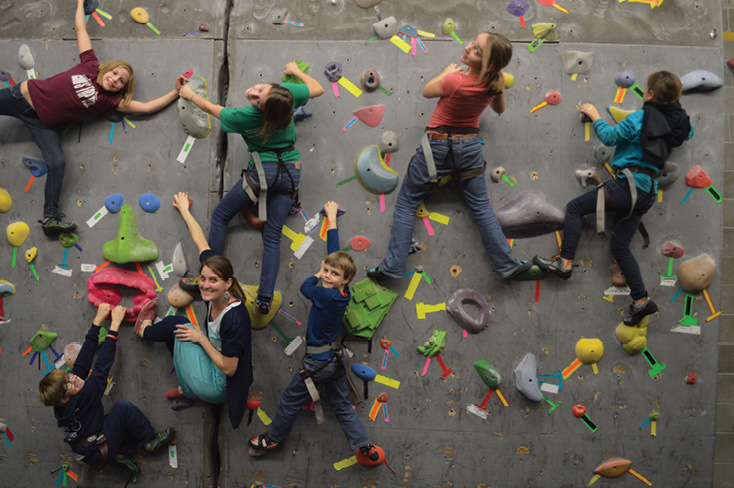 Beyond your child’s interests, you’ll need to consider what you need to get out of camp. Of course, there’s also a cost to camp. Many programs offer need-based scholarships for individual children or discounts if you’re sending more than one child to the same program. For parents using camp as a substitute for childcare, remember that day camps fall under the same tax guidelines as daycare, so if you pay for daycare with flex plan or write off childcare expenses, you can do the same for day camp. Most parents know what their kids are comfortable with, how independent they are or whether they’re really ready. A child’s first time away at overnight camp is a big step. There’s no “magic age” for that first week away from home. 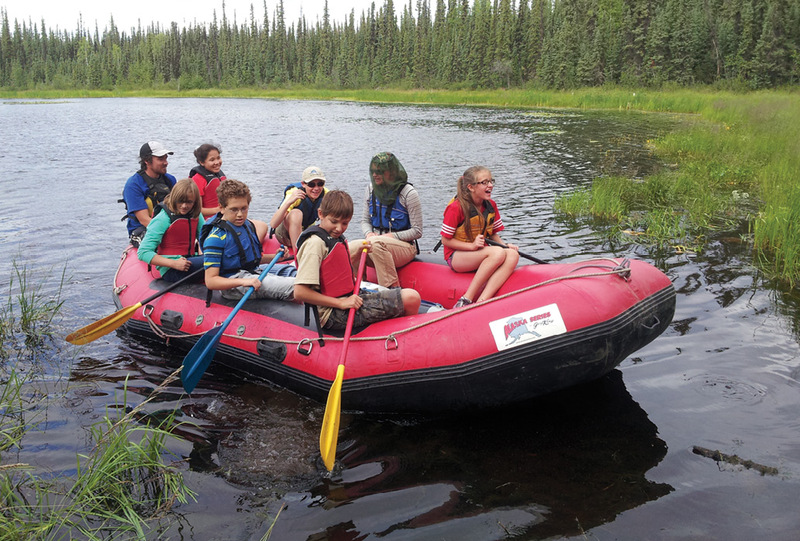 “Most parents know what their kids are comfortable with, how independent they are or whether they’re really ready,” explains Daniel Tollerud, youth programs specialist for The Salvation Army, which offers both day camp in Anchorage and overnight camp at its Kings Lake location near Wasilla. 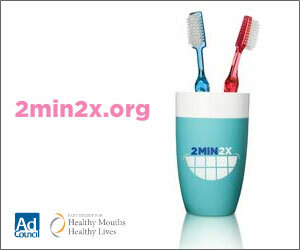 A good rule of thumb? If your 6-year-old is actively asking to go to camp, it might be time to consider letting her. Likewise, if your shy 9-year-old is hesitant, talk about it: Share your fond memories of camp, encourage him to consider going – but if he’s adamant, thinking about giving him a pass this year, then bring it up again next summer. 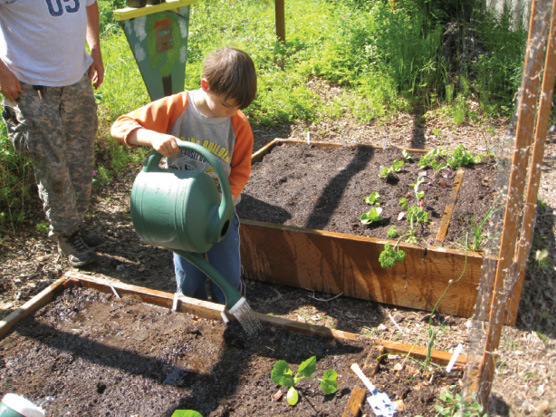 Top left: Anchorage Waldorf School Kindercampers tend to their garden. Photo courtesy Linda Shepherd. Top right: Storytime brings smiles at the Angelina Ballerina Camp, held at the Anchorage Music & Dance Center. Photo courtesy Angelina Ballerina Studios. 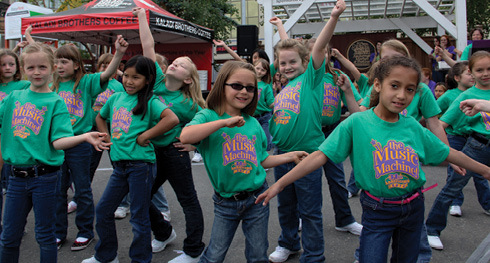 Top right: Dancers strike a pose at The Music Machine’s summer camp. Photo courtesy Hope Clark. Even before registration opens, you can get a jump on the summer by doing your research. Start calling around to the camps your kid is interested in to find out if one is the right fit.